Happy Literary Friday, My Lovelies! Today I'm reviewing the sequel to Awesome Jones, Lona Chang by Ashleyrose Sullivan. Although Lona Chang can be read as a standalone, I think you'll miss out a bit on world-building, character development, and important plot points if you don't read Awesome Jones first. You can read yesterday's review of Awesome Jones HERE. As a stated yesterday, both books would make fun Christmas gifts, especially if you have any millennials on your list. When one of the world's greatest superheroes dies in her arms, Lona Chang takes it upon herself to investigate his murder. Armed only with a power she barely understands and a mysterious coded book, Lona begins a quest for answers that leads her down a dark rabbit hole of secrets—secrets the ancient organization known as the Guild is determined to keep hidden at all costs. Meanwhile, when a new threat descends upon Arc City, Lona's soulmate (and freshly minted superhero) Awesome Jones defies the Guild, dons the cape and cowl of his father and finds a group of unlikely allies. 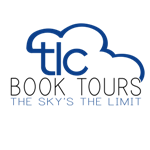 But can Awesome trust them—or himself? He'll have to fight his own demons first if he has any hope of defending the town–and the people–he loves. As tensions rise between the Guild, Lona, Awesome, his allies and Arc City's criminal underground, Lona realizes that life, and the answers to its questions, are never as simple as they seem in comic books. The book begins with Lona and her fiancé Awesome Jones adopting a mutt, Trulie, and making a comfortable, peaceful home together. They've been sanctioned by the governing body of superheroes and agents called The Guild because Awesome broke the rules in the previous book by using deadly force against one of the most vile villains ever. They continue to train and hone their unusual superpowers; Jones trains and works with the "sheets," superheroes who aren't officially "capes," or Guild sanctioned superheroes (the explanation of the distinction between both groups is a lot of fun). On their wedding day at Arc City's courthouse, super villains The Alchemist and Ironhide disrupt their nuptials while they attempt a bank heist. Soon after their botched wedding, Captain Lightning lands on Jones and Lona's patio after being fatally shot with an unknown weapon. He dies in Lona's arms, and she and Jones are devastated. Lona is determined to solve the murder mystery of Captain Lightning. Lona was adopted, and she learns that her father was a detective of sorts. Her adoptive mother gives Lona her father's journal, but unfortunately it's written in an indecipherable code. 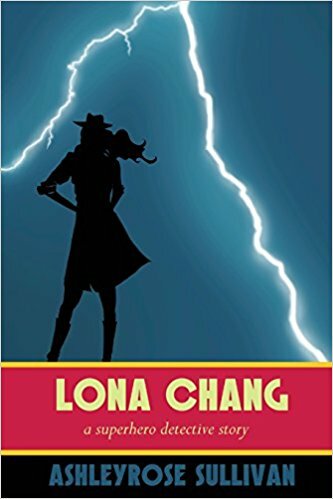 Lona spends a lot of time reading in Lona Chang...reading a popular detective series and a rare, obscure allegory that becomes the key to solving Captain Lightning's murder. I thought this was an interesting aspect of the book, and the obscure, rare book is certainly helpful. The detective series doesn't seem to help, but it does provide Lona with a few humorous tips she incorporates into her investigation. Lona's gift of always finding luck is interesting to read because even when it seems like she's experiencing bad luck- like when she gets a flat tire- these events serendipitously lead to lucky discoveries. The Guild rules the superheroes with an iron fist. We don't like them, and we saw in Awesome Jones how they separated Awesome from Lona while he trained. They also control the news media, so public opinion is manipulated and often based on lies. Comic books are also used to propagate narratives created by the Guild. This book is all about sticking it to the man. The underdogs are bullied by an ancient organization that needs to be taken down. The book ends on a cliffhanger, and I can't wait to read the next installment because I believe between Awesome Jones, the sheets, a few of the honest capes, and Lona's emerging mad detective skills, they can set the corrupt Guild aright. I highly recommend this uniquely fun series! Disclosure: I received a copy of Lona Chang from the writer via TLC Book Tours in exchange for a fair and honest review. I've been enjoying soe superhero tv shows so this series sounds like it would be a great fit for me next.